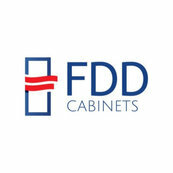 FDD Cabinets did a full renovation on my kitchen and master bathroom. I couldn't be happier with the finish product. Denise and Al patiently guided me through the design process, picking the granite and then to completion. I would not hesitate to recommend them as my experience was flawless and they were a joy to work with. Thank you, Mrs. Shutron. Serving you was a pleasure. Have a Happy Thanksgiving. This is a wonderful company to work with! Everyone is so professional and friendly. The quality of workmanship and products are top notch.